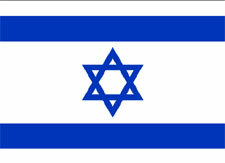 Israel is one of the smallest and youngest nations. As a separate nation, it came into existence after the end of the second world war. 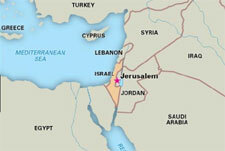 A portion of land in the middle east was carved out by the allied forces and called it Israel. It so happened that Jews were being persecuted for the past many years in Europe. Yet, they were a prosperous, thriving, and intelligent community. In fact, in the early sixties, there was a story by name Diary of Anne Frank. Anne Frank was a Jewish girl who was confined in her house in Germany as Jews were being singled out and murdered. This girl wrote her diary of a few years, which was revealing and touching. The allied forces promised to make Israel their homeland in gratitude for the help rendered by the Jewish community (ignoring the persecution that they have suffered for generations at the hands of the same European governments). That Israel became Jewish settlement and invited Jews from all over the world to live as free citizens without being persecuted in their own homeland. The name Israel itself is steeped in antiquity. The 3rd prophet of Christians, Muslims and even Jews was Abraham. One of his sons was Israel and the other was Ismael. Muslim’s claimed that Abraham sacrificed his son Ismail on the Bakrid day and Jews contest the claim of Muslims and insist that it was Israel whom he sacrificed. In fact, the acute hatred and animosity between Jews and on the one hand and Muslims and Christians, on the other hand, starts from this period. In spite of persecution, some of the greatest discoveries and inventions in the world could be attributed to Jews and thus to Israel. The banking system in England and Europe was fostered by Rothchilds. The famous scientist Oppenheimer who is the father of the atom bomb was a Jew. The Rockefellers of New York known all over the world are Jews. 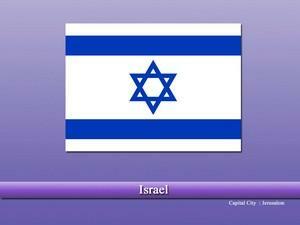 You name any field of human activity you will find Israelis in an exalted state of revelation. India is the only country which was a safe haven for the persecuted Jews in the whole world. General Jacob of the Indian army was the general to whom general Niazi of Pakistan surrendered in Bangladesh (then East Pakistan) in 1971. The famous Indian actor David was a Jew. Jewish Synagogue is there in Mumbai. In Mumbai attack in 2008 Jewish community was particularly targeted by terrorists. Because of Indian culture and the kind treatment of Jews in the country Israel has got a soft corner for India. Not only this, in the 1st world war, Israeli port Haifa was liberated from invaders by Indian army consisting of Mysore, Hyderabad, and Rajasthan soldiers. Though Israel is surrounded from all directions by nations deeply hostile to it, it is still thriving as a prosperous country. It’s advances in science are phenomenal. They have developed easy and new technologies for desalination of sea water and make it potable. In present-day warfare Israel has a huge advantage having developed most modern weapons and ammunition at affordable cost. Yet, for very specific reasons India and Israel were not recognizing each other till the time when PV Narasimha Rao became Prime Minister of India. It was he, who established diplomatic relations between the two countries. Today they are close to each other. The relations of India with Israel are thriving and expanding. Many Israelis come to India as tourists because of the friendly nature of Indians. Of late it appears that even marriages are taking place between Israelis and Indians. Religions: Jewish:74.7%, Muslims 17.7%, Christian 2.0%, and Druze 1.6%. In which direction we should study? Vastu remedy for staircase in North?